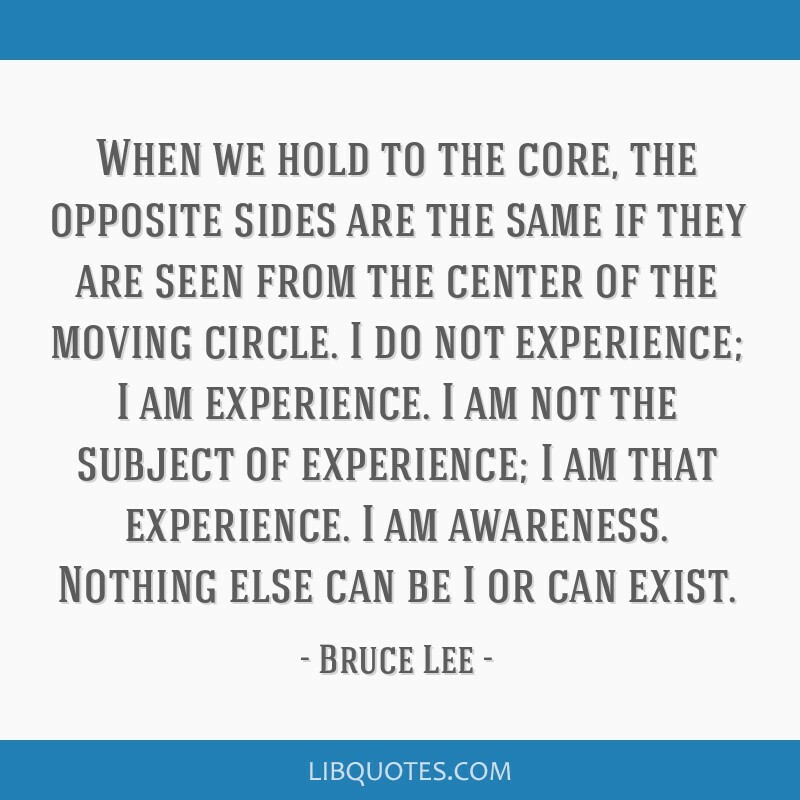 When we hold to the core, the opposite sides are the same if they are seen from the center of the moving circle. 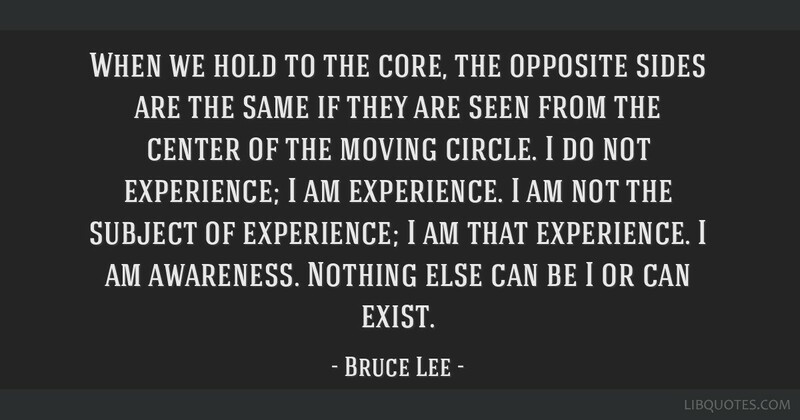 I do not experience; I am experience. 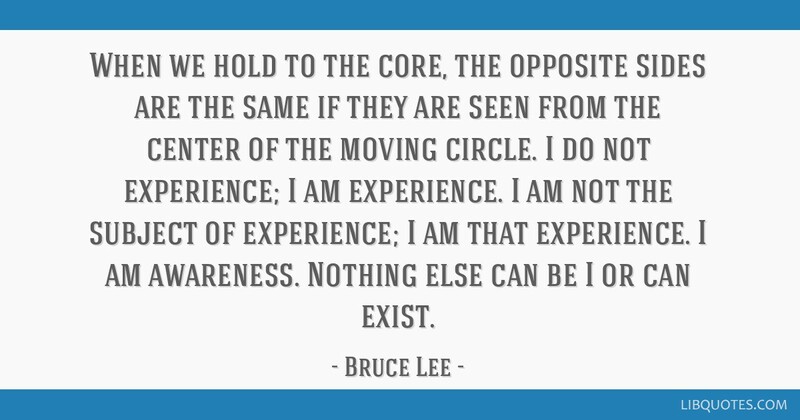 I am not the subject of experience; I am that experience. 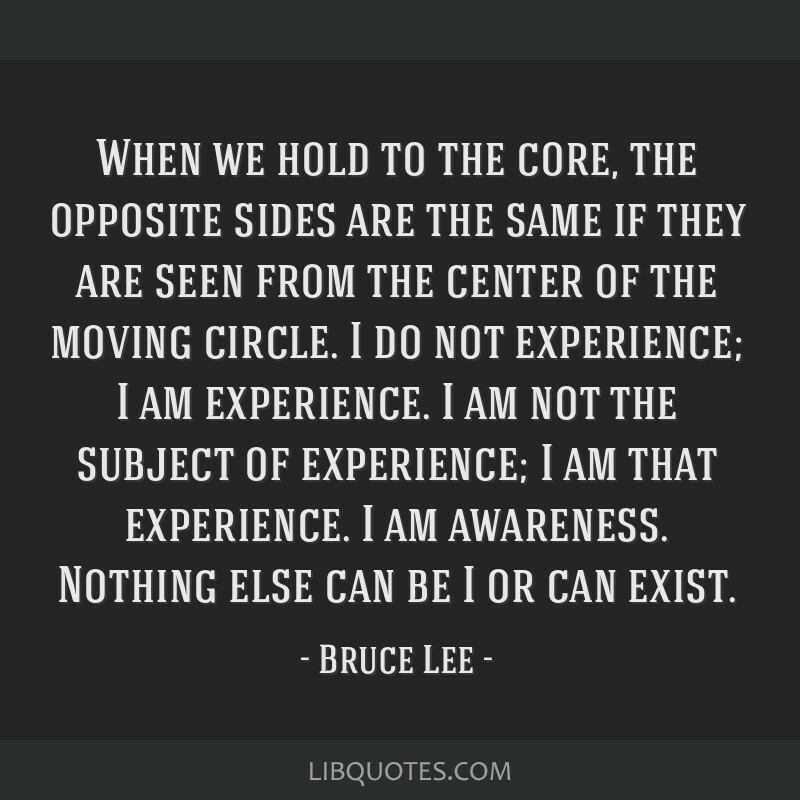 I am awareness. Nothing else can be I or can exist.